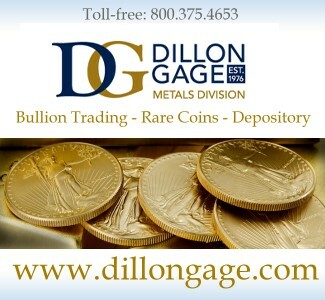 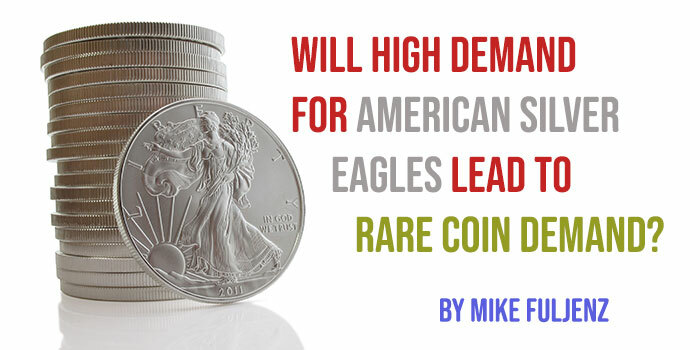 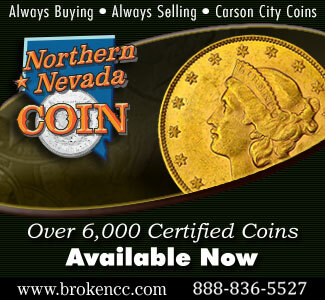 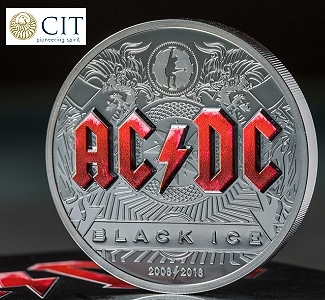 Home Coins Silver Eagles Will High Demand for American Silver Eagles Lead to Rare Coin Demand? 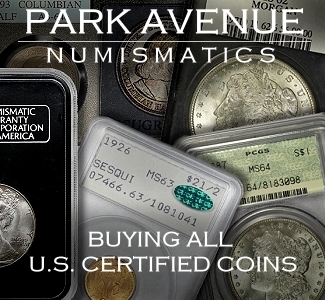 I have noticed that the most widely-advertised coin by dealers across the country is the one-ounce American Silver Eagle. 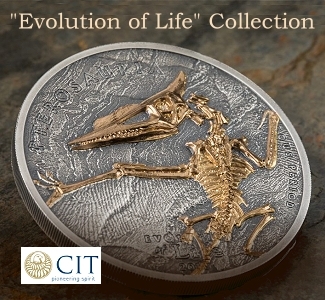 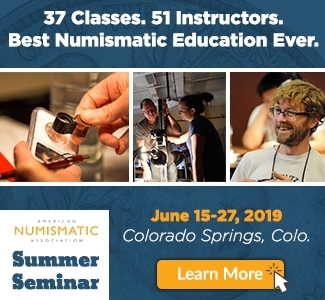 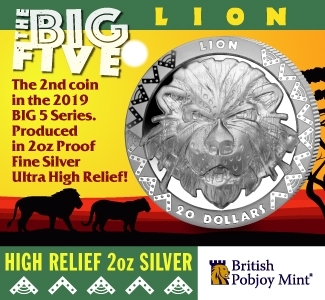 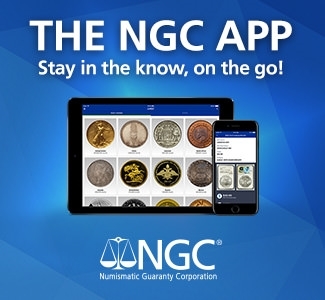 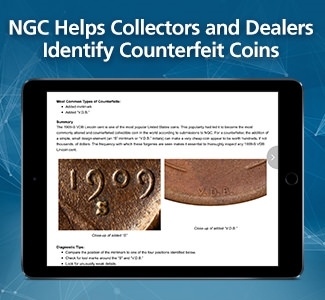 It is one of the most beautiful and accessible (low-priced) new coins for new customers to become exposed to the beauty, potential, and history of rare coins. 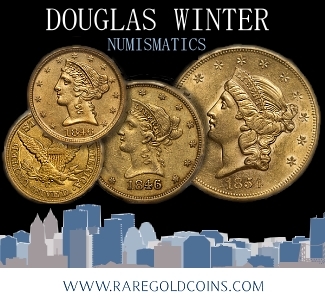 As a result of exposure to this bullion coin’s classic design and exposure to coin dealers, many new customers start buying rare coins. 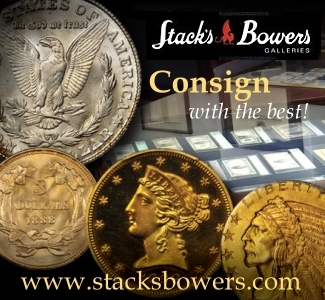 Whenever we see sales increase dramatically for Silver Eagles, that is a good sign that more buyers are (or will soon be) entering the rare coin market. 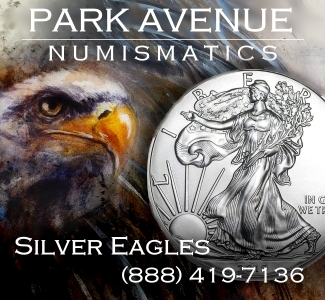 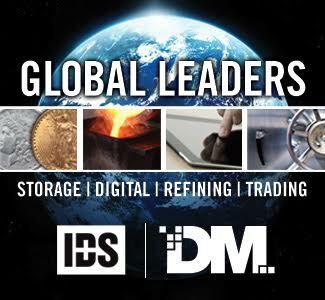 In January and February of 2019, Silver Eagle sales rose a dramatic 47.8% over sales for the same two months in 2018. 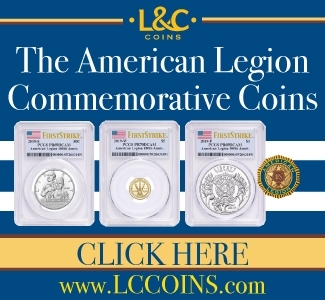 The January total of silver American Eagle coin sales was the highest of any single month in two years, and the February totals were 129% above the sales in February of 2018, even though the United States Mint sold out of their 2019 supply as of February 21 and sales have just recently resumed. 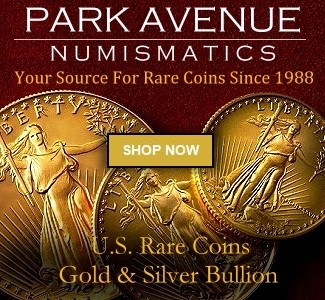 This reminds me of 2004 to 2008, when sales of the $1 American Silver Eagle by the Mint increased from 8,882,754 in 2004 to 20,583,000 in 2008 as the price of silver rose from an average $6.67 in 2004 to an average of $15 in 2008. 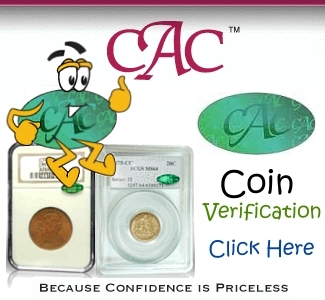 In the same four years, 2004 to 2008, many Indian Head gold coins increased in value by over 100% and the overall PCGS Mint State Gold Coin Index increased over 50%. 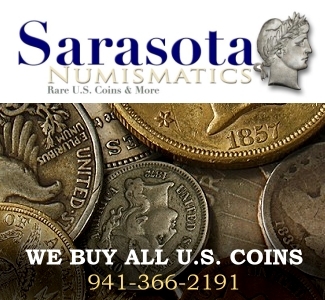 That’s why it’s important to watch the price of silver and the sales of American Silver Eagles as a couple of the barometers for the overall rare coin market in the years ahead. 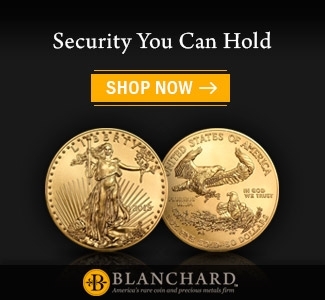 And that’s why it’s important to see that silver is doing relatively well.